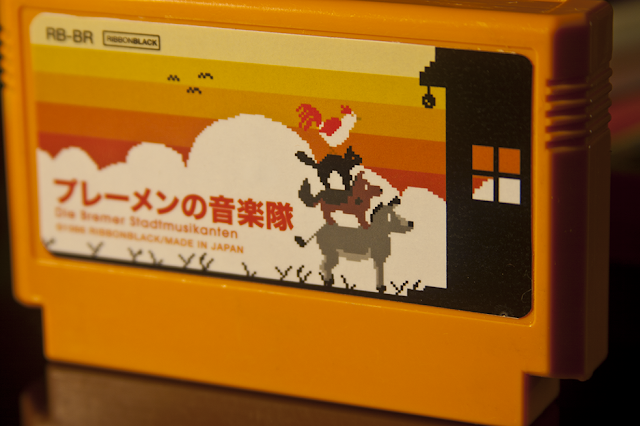 Die Bremer Stadtmusikanten (The Bremen Town Musicians) for Famicom, developed in 1986. 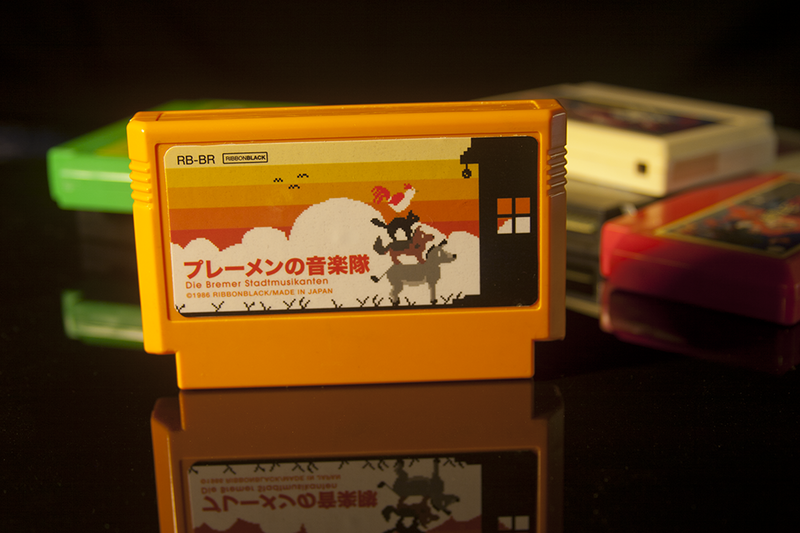 Based on my favorite fable, this side scrolling adventure game follows four past-their-prime animals who escape their owners and seek their fortunes in Bremen. They'll have to work together!